Tenessa's (A Beaded Gift) fabulous beads paired with Swarovski crystals and a Thai toggle. Sold! 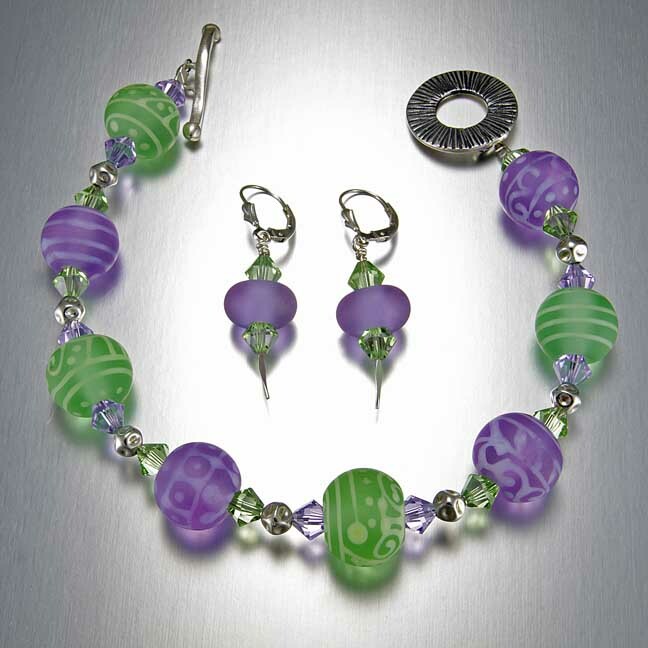 This is a fun purple and green set. The purple beads change colors depending on if you are outside or inside. 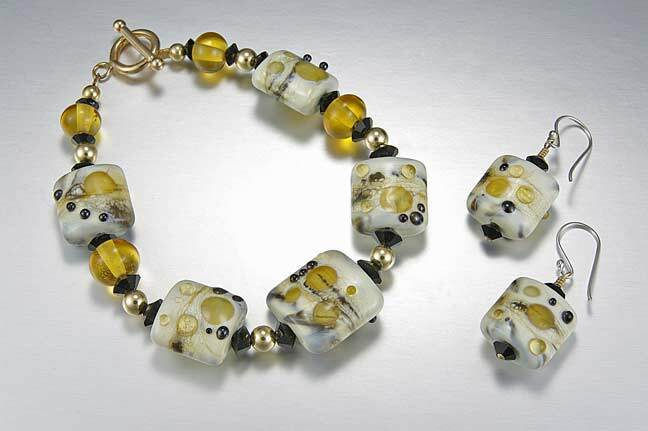 Believe it or not, these are Stef Wagner's lampwork beads. 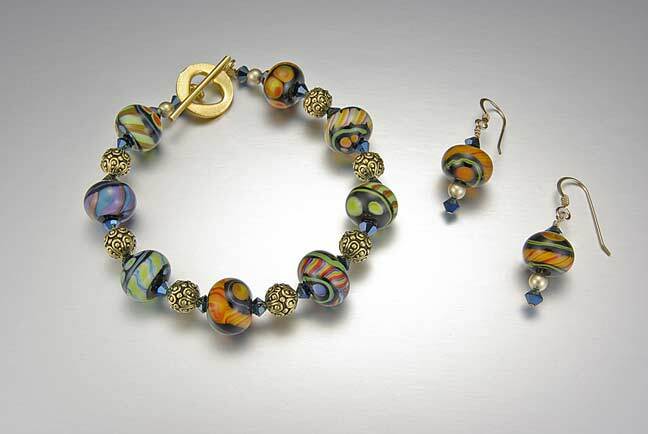 This bracelet and earring set is at Wrought'n Apples in Parker, CO.
Brendan Blake Boro Bead Bracelet (B5) Set. 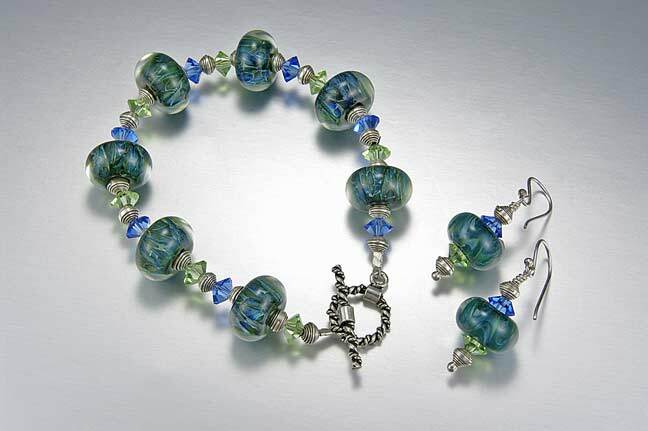 Fabulous blues and greens in this bracelet and earring set. 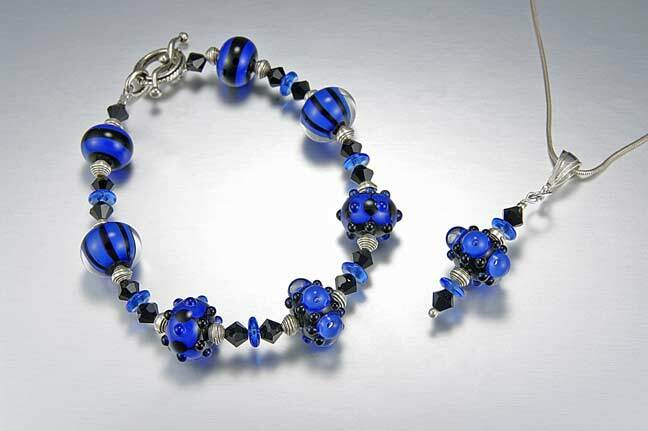 I fell in love with a Brendan Blake boro bead in 2005 and that is why my company exists today. Available in many different color combinations. Made to order. 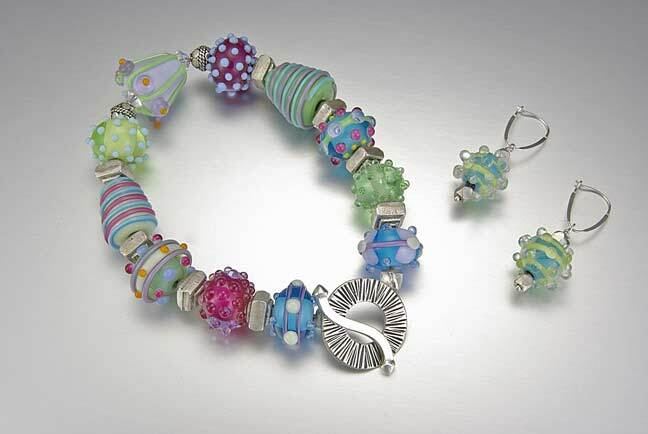 Kathie Urato's great lampwork with Swarovski crystal and Thai Hilltribe silver. 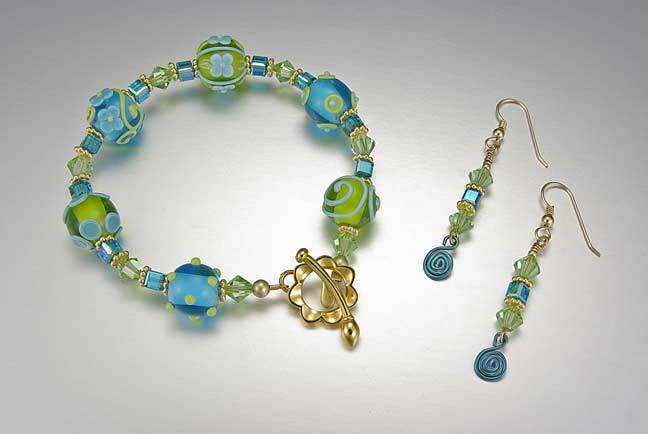 A bracelet and pendant set at Wrought'n Apples. 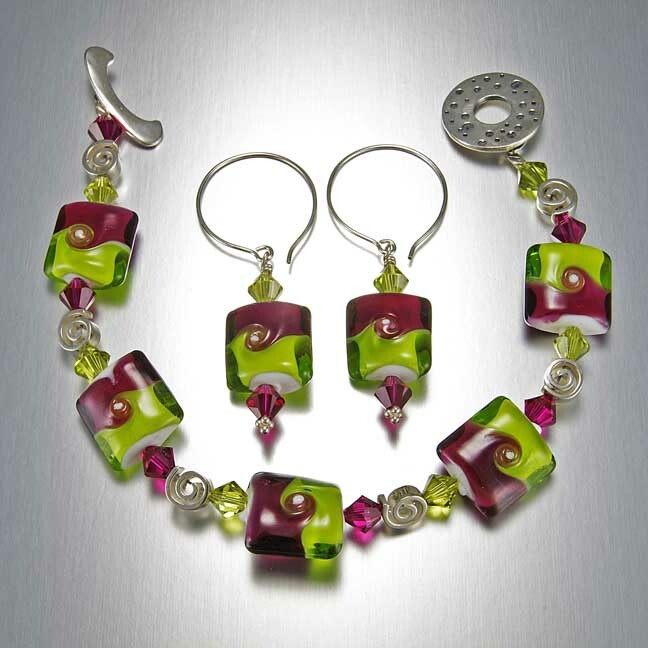 One of my favorite color combination bead set from Stef Wagner of Shot of Glass. 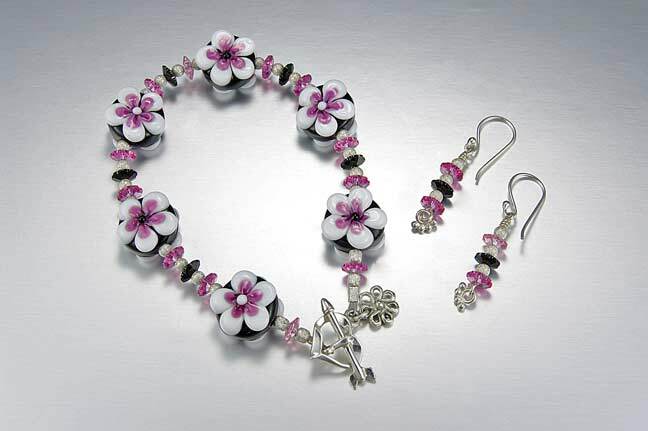 A chunky Swarovski style crystal with encased floral beads. Sold. An unusual gold bracelet style for me. Sold. 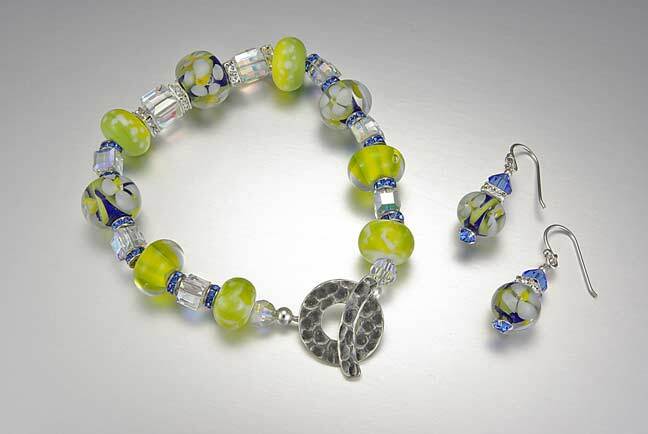 Big beaded bracelet and earring set. 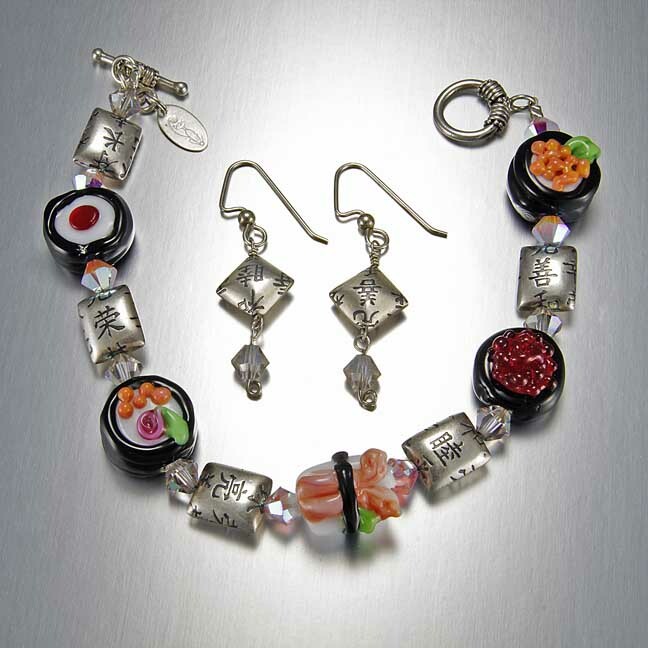 These beads are from Leah Neitz of Sand on Fire. 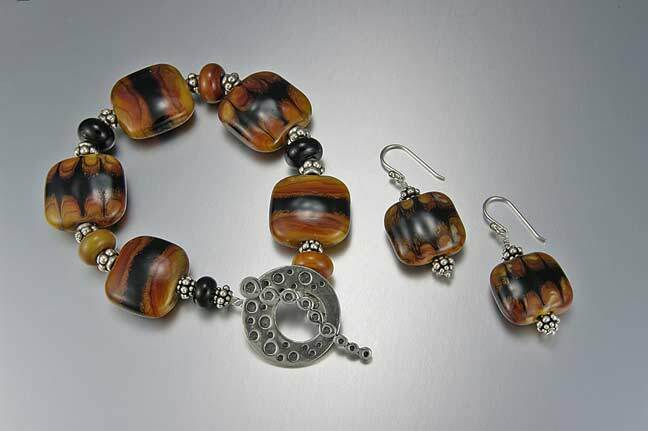 Fun bracelet set made by Maureen of Pumpkin Hill Beads. All her beads are chunky; gotta love them. If this is your style, contact me.